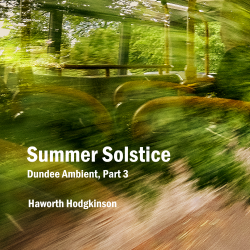 Summer Solstice is the third of five parts that constitute Dundee Ambient, a project I began in January 2015 and expect to finish in December 2016. The parts may be heard separately as nocturnal portraits of the city through the changing seasons, but the overall sequence of Dundee Ambient can also be heard as tracing the stages of a night's sleep. After the dream-disturbed sleep of Part 2, Part 3 returns to a much more restful sleep, with only hints of the previous disturbance. In the stillness of the night, or at the still turning-point of the year, perhaps both, a blackbird sings. The blackbird was recorded in Dundee in 1997 but I am only now using this recording for the first time. 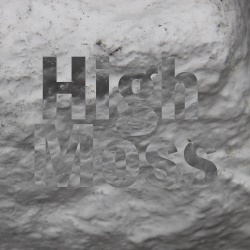 Most of the other sounds in the piece were also recorded in Dundee between 1995 and 1997, and were treated to extensive processing in 2015 to produce the slowly shifting textures that are characteristic of Dundee Ambient.